Three amateur bouts have been added to the undercard of this Saturday’s Jewels: “16th Ring” event in Tokyo, Japan. The all-female card now includes an MMA rematch between Tamaki Usui and Nana “Chanchin” Ichikawa, who first faced off in July. Usui won the pair’s first bout in just 14 seconds. Also announced were two Under-15 kickboxing tournament matches. In one, 12-year-old “Muay Thai Genius” Saya Ito returns to Jewels to face Ryouka, while former M-1 40kg female champion Miiri Sasaki looks to rebound from an August defeat when she makes her Jewels debut against Chihiro Imoto. Usui and Ichikawa squared off on the undercard of Jewels: “15th Ring” on July 9th, but the brief bout ended as quickly as it began. Ichikawa missed with a wild right hand and fell, giving up mount in the process. Usui immediately transitioned into an armbar and the fight was over in 14 seconds. The much more experienced Ichikawa fought 11 times as a pro earlier in her career, but suffered losses in each of those bouts and has fought in the amateur ranks since returning after a lengthy layoff this year. The Jewels Under-15 kickboxing tournament begins on Saturday at “16th Ring” and concludes at “17th Ring” on December 17th. All four competitors are 15 years old or younger. The first quarterfinal pits Ito (age 12) against Ryouka (age 15). Ito earned a Unanimous Decision victory at “15th Ring” in July and, despite her young age, sports an impressive 58-8-3 record with 19 KOs. She most recently earned a pair of victories in Thailand and returns to Jewels for the tournament. Ryouka dropped a Unanimous decision in a July bout for the REBELS promotion. The second quarterfinal matches Ito’s teammate, Sasaki (also age 12), against Imoto (age 14). Sasaki formerly held the M-1 40kg female title until she was upset in late August. She remains the number one contender in the division. Imoto holds a belt in the Top Run promotion and has captured numerous other titles during her career. Jewels: “16th Ring” takes place on September 11th at Shin-Kiba 1st Ring in Tokyo, Japan. 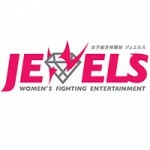 The event features the opening round of the Jewels Featherweight Queen tournament, which will crown the first Jewels champion at 48 kilograms.